NEW YORK – October 19, 2009 - Today, Paradox Interactive announced that pre-orders for East India Company: Privateer, an expansion for the popular naval strategy title, East India Company, have started. Customers who pre-order East India Company: Privateer will be given early access to the free add-on “Designer's Cut.” The add-on, which introduces new gameplay enhancements based off of input from both the game's developers and East India Company fans on the Paradox forums, will release to the rest of the public on October 27. Two new campaigns in which you play the game as a privateer of your chosen nation. New missions, including locating and either sinking or capturing enemy ships, blockading enemy ports and escorting friendly fleets. New commander skills to fit the life of a privateer, such as 'False Colors', which allows the player to get close to the victim without them perceiving a threat, and 'Critical Hit', which gives the player a chance to hit an enemy ship’s magazine, causing the enemy ship to explode. East India Company: Privateer requires the original game East India Company, which is now available at 50% off for a limited time with the purchase of Privateer at most digital download portals. The expansion East India Company: Privateer will be exclusively available for digital download at all major digital download portals for a suggested retail price of €9.99 and $9.99. 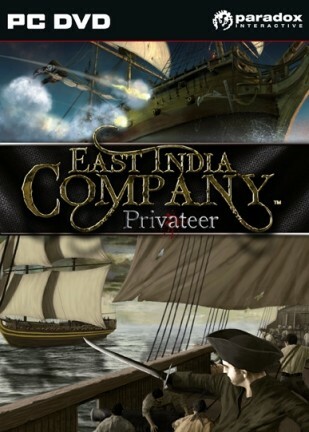 For more information on East India Company: Privateer, visit the official East India Company website at http://www.eic-game.com.